In the event industry, the competition is more fierce than any other industries. It is not just confined to persuade clients, for one particular event, but winning them over a long-term with some unique ideas that put their product promotion /launch/ brand awareness etc. on top of the show. For such unique ideas, event planners rely on some handful of technologies like VR & AR experience, Projection Mapping etc. But having used these ideas for hundreds of times by so many companies it now poses a challenge for event planners to come out with completely new ideas for their next event. Some event planners, route towards the internet, searching for a big idea to present it to the client. But even after spending hours they can't find anything meaningful. But don't worry , we have something unique here which will bring a smile on your face. Lighting has an immense influence on human lives since it was captured in a glowing filament bulb and now in a micro LED pixel. Throughout this transformation, lighting was tested and re-invented in all forms -texture, color, technology and its flamboyancy brightening the celebrations and events. The flickering LED bulbs on the entrance to the strobe-lights elevating the backdrops of the stage or even take those center pieces, walls, and trees wrapped with long series of lights. The lighting effects always remained a visual treat for events. These all might not stay same as you scroll down further because here is the twist. Illuminating the objects with lighting is one thing, but enclosing them with just a flash of light is abstract. An entirely new concept, something that “lichtfaktor” does effortlessly. 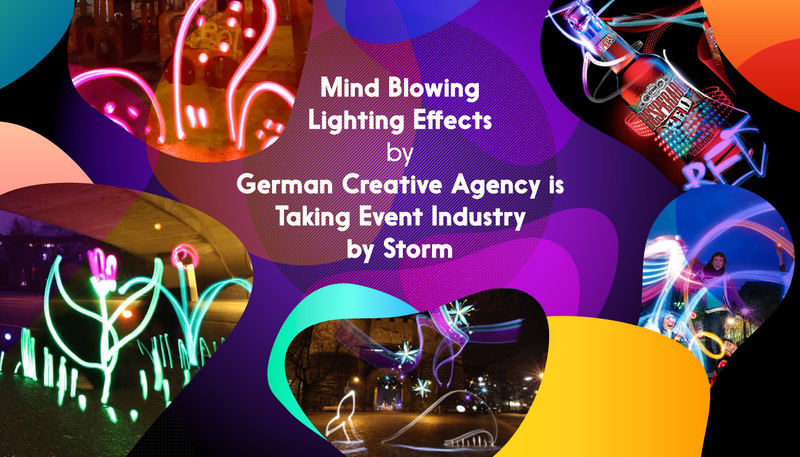 “Lichtfaktor” is a German based company formed by a team of multi-talented individuals. The team is a chain of professional photographers, dancers, light designers, performers, etc. who collectively link their skills to create the unique art format. They are well known for their graffiti light painting, stop motion light painting films and interactive event shows. The “lichtfaktor” brings video campaign to life by flocking lighting objects together. They use arrays of transducing light entwined around the promotional product or person to give them a new Avatar. After watching their profound skills, one can say it is the best way to push product promotion with the lightings. However, this is exclusively for videos. 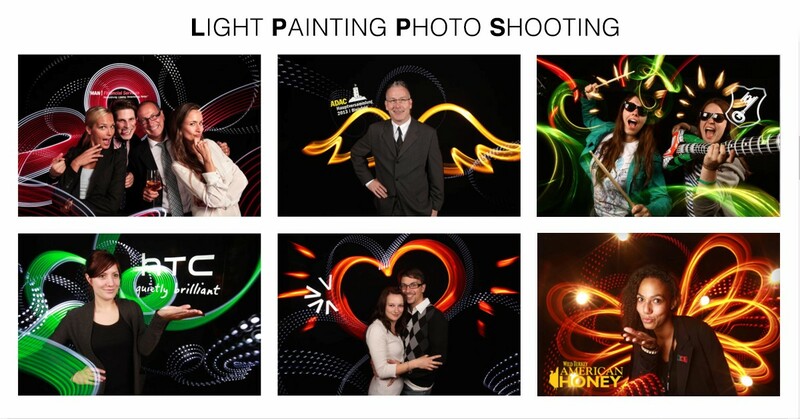 Lichtfaktor split their whole lighting ideas into three sections – Light painting, Video PhotoCall and Shows. Beside these Interactive is another segment involving less lighting effect, but still remarkable. Let’s take a ride in this explicit lighting experience. The concept involves running a trail of light around the brand product to emboss various artistic shapes. The light is seen literally infusing life into imaginary objects leaping from one end to the other, which sometimes appears to mimic the brand product. The reflected light from various angle travels in slow motion and takes shapes as guided by the art director. Whereas, the ground-artist camouflage them behind the darkness of the night and projects some stunning visuals for promotions. That is not just limited to the brand product; the artists are even capable of beautifying the dark streets with light garden and cartoon characters latched to pillars and post. A picture speaks more than words. But you would probably like to re-phrase this quote as “light speaks more than picture” after getting acquainted to an exhilarating photo-session. Unlike, conventional photo-session here the portrait is embedded with some sharp swirl and curls of lighting. The artist rolls his hand holding the torch around the person and what you see next is a stroke of light-flares defining the person’s persona. The magic remains endless when the artist puts its photo technology to stunning video animations. The idea is to use light technology cleverly not to fade the darkness, but use the darkness to elicit the portrait. The interactive event show from “lichtfaktor” is to entertain the larger audience. Various acts from the show will surely take your event attendees with lots of surprises. On-screen visual elements synchronized with the onstage performer gives a unique experience to viewers. Shed some more lights over-here! This was a complete new voyage to the lightest technology used for video campaigning and live performance. So what form of lightings you have experienced that is not noted on any page of events or celebration yet, or any particular lighting technology you know that can ignite a spark into events. Drop your view in the comment section without any hesitation. Interested in hiring LichtFaktor team for your next project?